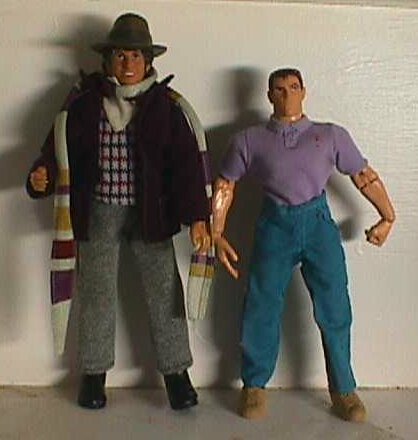 Tom Baker as the Doctor in "Doctor Who: the Talons of Weng-Chiang"
I purchased two damaged, incomplete, Mego "Doctor Who" figures on eBay. The first thing I did was transplant the right forearm and hand of the more damaged one to the more complete one. Then I looked to his feet. The one that remained was cracked, so I removed it, and transplanted feet from a Famous Covers "Thor." 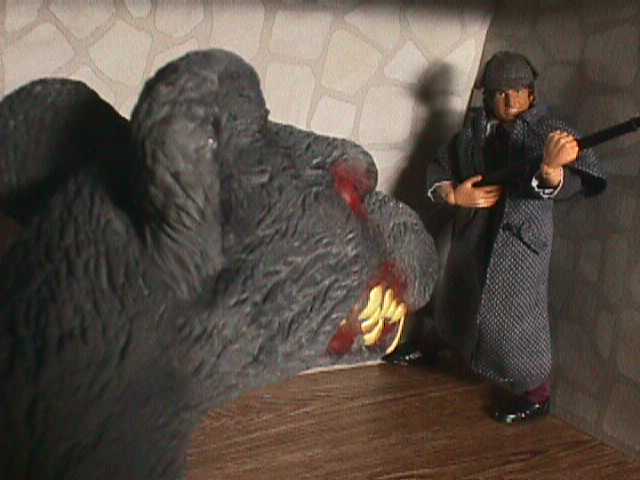 I gave him the hat from a Humphrey Bogart figure. Donated boots from Action Jackson complete the ensemble. 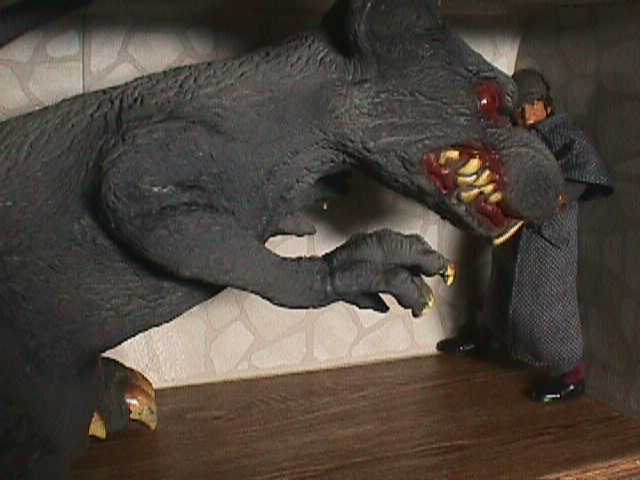 I had the head and remains of the second Mego Who. 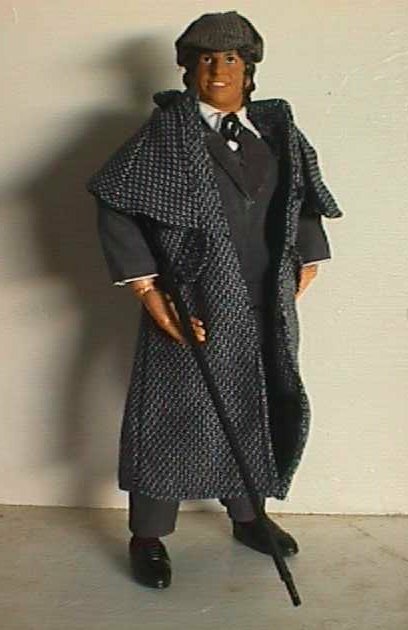 I thought the likelihood of ever restoring him was too little to bother with, so I decided to make a "Famous Covers" Doctor. I removed the head, and cut off the mego-type attach-point, and then trimmed down the inside of the neck to make it as thin as possible. then I hacked off the protrusions from a Daredevil head and slipped the Mego head over the remaining stub of DD's head. 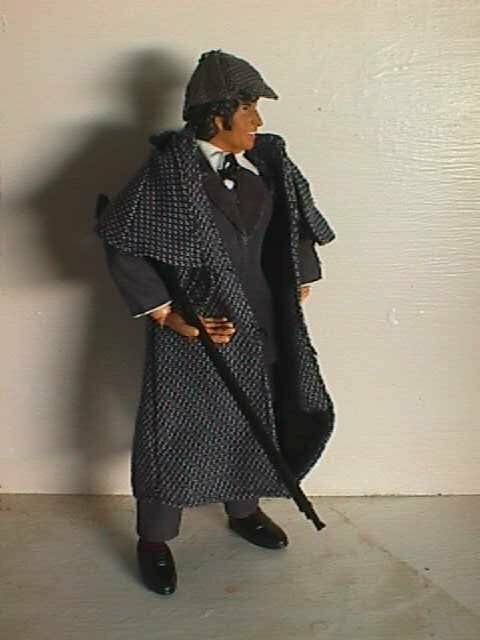 I gave him the costume from the 9" Playmats "Data as Sherlock Holmes" figure, mauve socks made from Dark Phoenix's sleeves, and a pair of Ken's shoes. 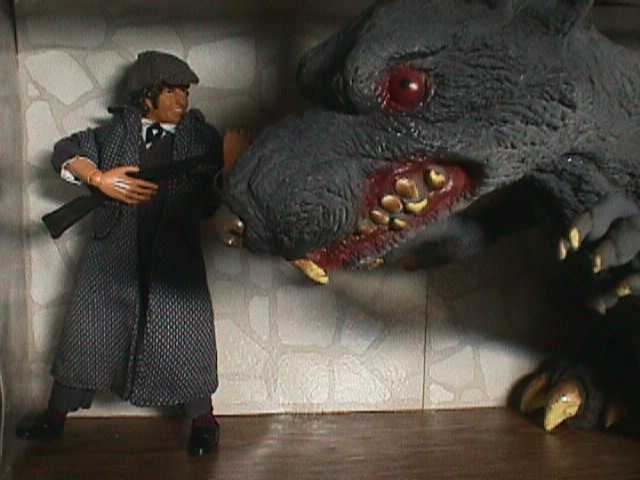 Note the size difference from the original who to the FC who. 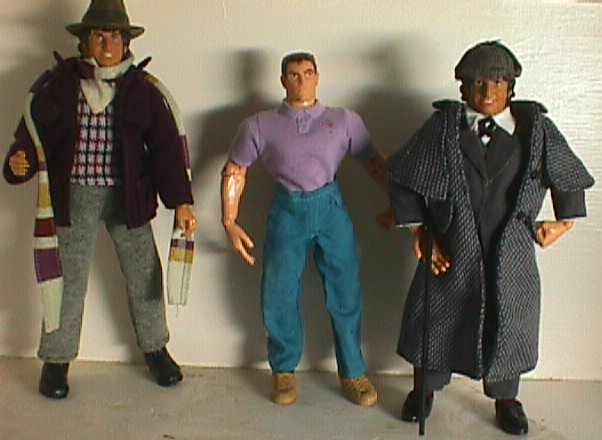 Here's a Doctor who can interact with my other figures. What I'm left with -- armed with Jed Clampett's rifle in the role of "Possibly the most impressive piece of field artillery in all England" -- is the Doctor as he appeard in the classic episode "The Talons of Weng-Chiang." 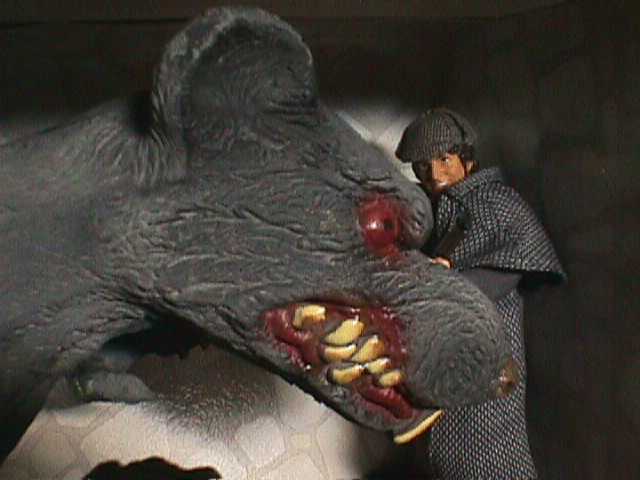 One of the climactic moments of "The Talons of Weng-Chiang" is the Doctor's confrontation with a gigantic, mutated rat. 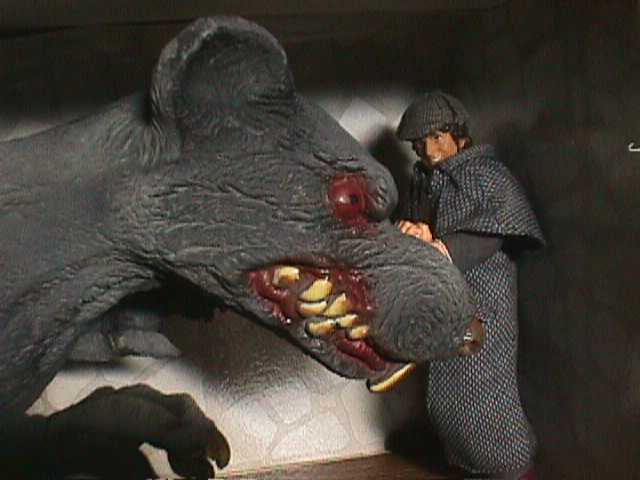 Given that it's October, a suitably terrifying rodent was readily available, and transforming the interior of a shelf to a London sewer (Or a hallway in a castle, should I need one) was a simple matter of floor tiles and contact paper.